Reaching the little lambs before they become lost sheep. Your neighborhoods and parks are a great mission field. The world, most likely, is right in your own back yard because the whole world comes to the United States. Why not take advantage of it? Ross Family Ministries can work along side your church presenting the gospel to the Spanish, Asian, Italian and just plain American’s that don’t know they need God’s forgiveness and love. After school programs are another wonderful chance to present the gospel. Parents work and these programs are very popular. When the gospel is permitted in these venues we can train a team from your church to go in with us. 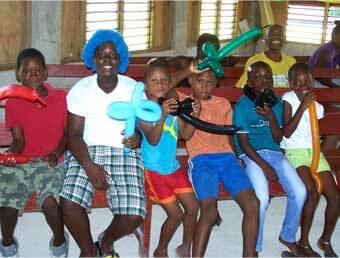 We will be presenting the gospel using balloons, skits and object lessons to keep the kids attention. Family Fun Days is much like the community outreach but instead you invite families to your church offering free food as the Gospel is being presented in entertaining and creative ways. We would teach volunteers how to use skits and object lessons to keep everyones attention. When would you do this? Well, anytime works but there is a reason to celebrate something every month of the year in America. In January – New Years, February – Valentines Day, March – Saint Patricks day, April – Easter… If your people are up to it, you have an excuse each month to hold a party so you can present the gospel. 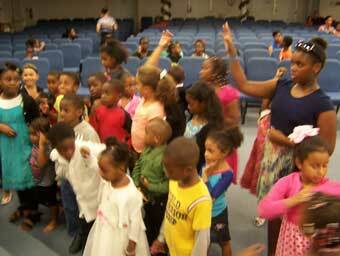 Vacation Bible School is a summer time tradition. The games, crafts and a lesson are all part of the fun. RFM can plug right in and teach the lessons for you using scripture with a few laughs along the way. Some of the past lessons include Witnessing, The Armor of God and The Bible Passes the Reliability Test. Of course, we can develop lessons specific to your needs and cover any topic you are interested in. Don’t hesitate to ask. 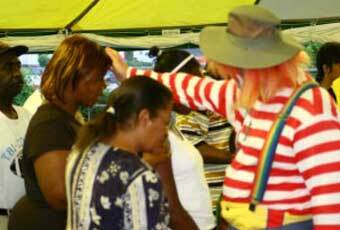 With a family crusade you can invite the whole family to come along for the fun. There is something disarming about hearing the gospel presented by a clown or another character that can put people at ease. Throw in a few illusions and gags and before they know it adults and children both are enjoying the show. Some churches even provide food before the Gospel show to make it easier to come.